Stevie “the Rifleman” Flemmi was, for forty years, one of the most feared gangsters in Boston, and for much of that time, he was the partner of Whitey Bulger, the sixteen-year fugitive with a $2 million reward on his head who was captured in 2011. Flemmi has been convicted of ten murders and took the Fifth Amendment when asked about ten others. His cohort, Bulger, is charged with nineteen more. 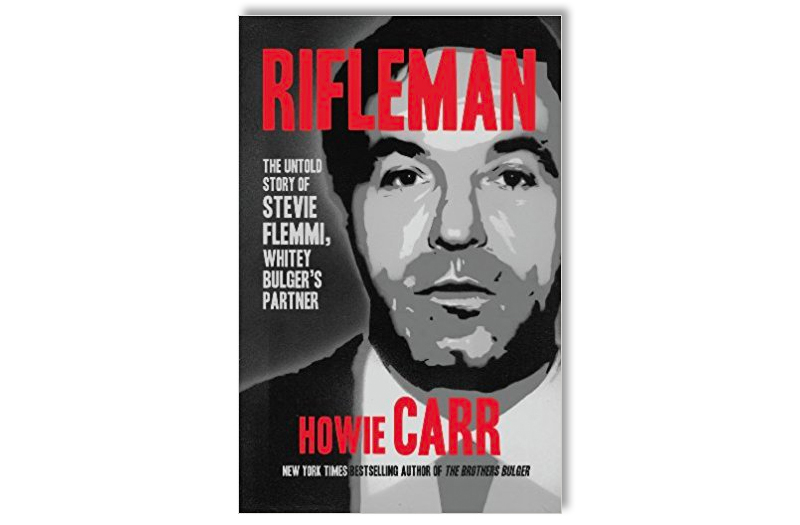 Rifleman is the story of Flemmi’s life of crime, as told to federal and state law enforcement after he pleaded guilty in 2003. The original document on which the book is based is called a “DEA 6,” and it ran 146 single-spaced pages, covering dozens of extortions, assaults, and murders, including two of his girlfriends, one of whom was also his common law stepdaughter. Supplementing the text are close to 300 photographs from Carr’s own collection. This is truly a must-have for any true crime fan. Been following howie Carr for many years. He knows what he’s talking about.